Well, it’s been an exciting day here at Hooked on Houses. 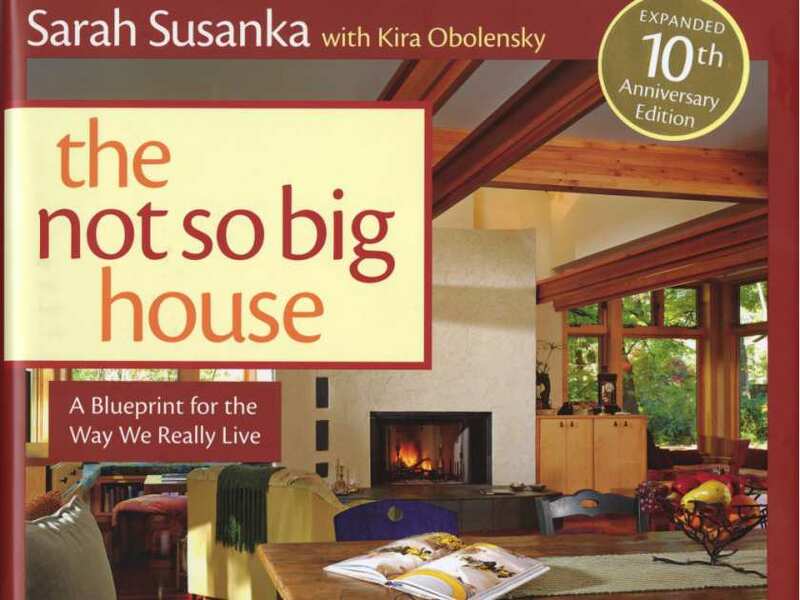 I just heard from Sarah Susanka, who writes the bestselling Not So Big House books. 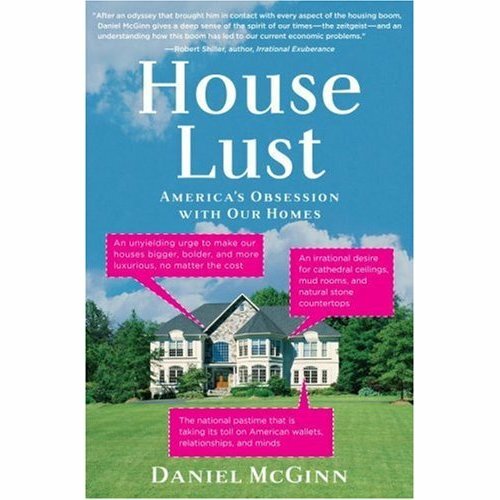 She saw my interview with Dan McGinn, the author of House Lust, and has a few things she’d like to contribute to our discussion. Read on to see what she has to say! 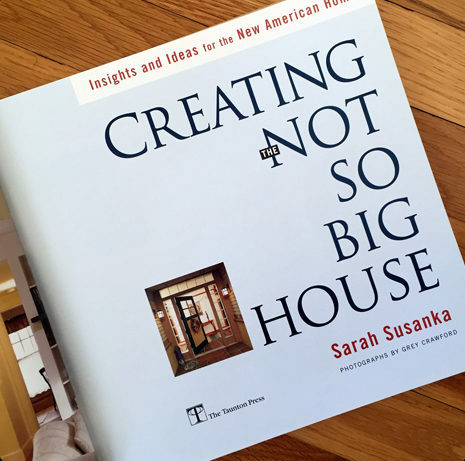 In yesterday’s interview with the author of House Lust, I mentioned that I am a fan of Susanka’s work and enjoyed the chapter in his book that included her. McGinn took Susanka with him to look at a model home in a new development to get her thoughts (let’s just say she wasn’t impressed by what she saw, such as the brick facades with vinyl sides). In my interview with him, I asked whether he thought the end of the housing boom might finally change our”bigger is better” mentality and make people rediscover the value in smaller homes that are better built. 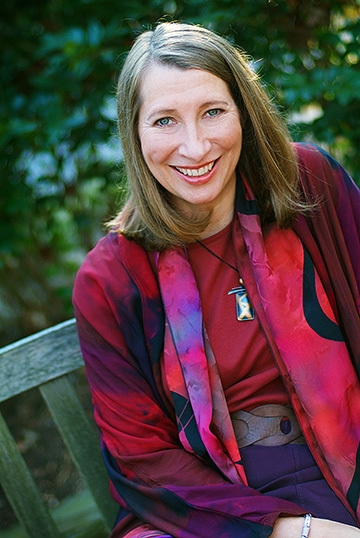 I found Sarah Susanka’s thoughts on the subject not only interesting, but inspiring. I think you will, too. As the author of the Not So Big House series, I have a bit more to contribute to this question. People usually don’t recognize that there are several rooms in their homes that rarely get used until it’s pointed out to them. Suddenly a light bulb goes on as readers realize they’ve never actually sat in the formal living room, for example. Dining rooms often, though not always, meet a similar fate. But Dan is right — until this realization is brought to their awareness, homeowners tend to want what everyone else seems to want more space, taller ceilings, etc. They want it because that’s what they are taught to want. It’s what our culture promotes as the American Dream. If that coincides with the American Dream then go for it. But there are a lot of people for whom that bigger house just isn’t what they aspire to. They just don’t know what the alternatives are. I suggest to people, if you won’t use a room, then don’t build it! Use the money instead for something that has meaning and value to YOU. Increasingly people are doing just that, and are living in houses that fit them much better as a result. In the past ten years, since The Not So Big House first came out, I have seen a dramatic increase in the numbers of people who are interested in better design and a more comfortable house that’s designed for the way they really live. Although there is still a large percentage of the population that equates bigger with better, there are increasing numbers that want better but not bigger. They’re looking for a sense of “moreness” that’s not related to size. 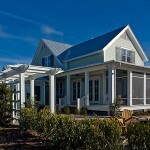 So what I describe is not so much about building smaller as it is about being better designed for today’s lifestyles. That’s the key, and I believe there is a distinct shift in attitude as people recognize there are alternatives to bigness alone. What I advocate is using the dollars you have available to secure a quality of design that will make your heart sing every day. That’s what will swing the compass. It won’t happen overnight, but from my perspective at the center of this debate there’s no question that there’s more awareness of the tangible value and increased quality of life that results from tailoring a house to fit you like a glove rather than a sack. 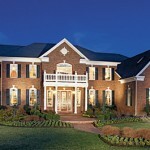 I’m convinced that the future will be filled with houses that have a lot more to do with quality than with quantity. I hope I’m right! Oh, how wonderful to hear from Ms. Susanka. I’ve long been a fan of her books. When I dream about the bigger space I hope to live in when I’m a grown-up (in the next couple of years when I’m 43ish, I hope), it looks like hers. Oh, how I lust for one. I love not only the beauty of the designs she presents in her books but also the efficiency therein. (A toilet paper cupboard next to the toilet? How ingenious is that?) There’s nothing more pleasing to me when form and function come together in one gorgeous package. I find a similar fascination (though the aesthetic is not as excellent) when I’m in a Waffle House or an Airstream camper. Apologies for making that comparison, but it all makes my heart race a little. Finally, when I see a swath of trees being chopped down for another one of those “other” houses, I get nauseous because I know what it’s going to look like in thirty years time: unloved and full of Cape de Monte flower arrangements and a basketball goal in the driveway that is half torn down. Frankly, I’d rather see the trees. But a Not So Small House? Now that house–that quality–will be there to stay. We have yet to buy our first house, and we probably won’t build. 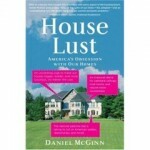 I haven’t yet read House Lust or The Not So Big House and I wil admit to really wanting a new house over an older home. But I agree that so many of the houses being built today are just scary. 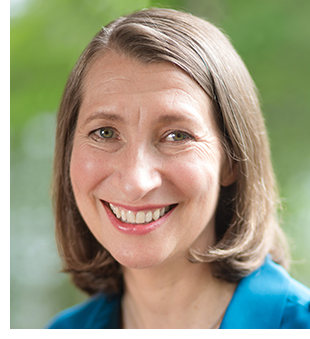 I have been inside houses that have have giant, 2-story living rooms and then two tiny little bedrooms upstairs for the kids – and no office space or basement either! I don’t get that, never have. I don’t know what the solution will be for my family, maybe an older house that we modernize? Maybe look into building (a scary thought to me)? But I’m enjoying this discussion and have both books on my list to read. I agree that the quality in the details is definitely more important than the size. At least to those of us who appreciate those things. Since I am a fan of finding beauty every day in our homes, great architecture definitely would win out over humongous rooms lacking quality or function. Love Sarah’s ideas and philosophy! Tomorrow on The Inspired Room blog I am featuring an interior designer talking about finding beauty in every day life through good interior design. I can completely appreciate Sarah’s perspective on architecture through the same point of view. Why build houses that just don’t work for our lifestyle? Or that skimp on quality in order to have extra rooms you don’t need? It just doesn’t make sense. Sarah’s points are well taken. Just caught up with the blog after the weekend, and as always, it was inspiring. I *love* The Not-So-Big House franchise and the philosophy behind it. Having bought a smaller, sustainable, existing house has kept us very honest about our living. Sometimes it would be nice to have a walk-in closet in a master suite, but overall, having a smaller house has meant we’ve had to keep our possessions under control and our lives more scaled-back. (I have friends way past having children who still have a basement full of baby swings and maternity clothes, just because they have room to store them. What’s the point? Someone in need could use that stuff!) I love Sarah’s philosophy about finding a new way to live. Great post, Julie! Since discovering bungalows and craftsman building, I have become totally converted to this way of thinking! Leila’s last blog post..Fantastic waffles using my homemade pancake mix.